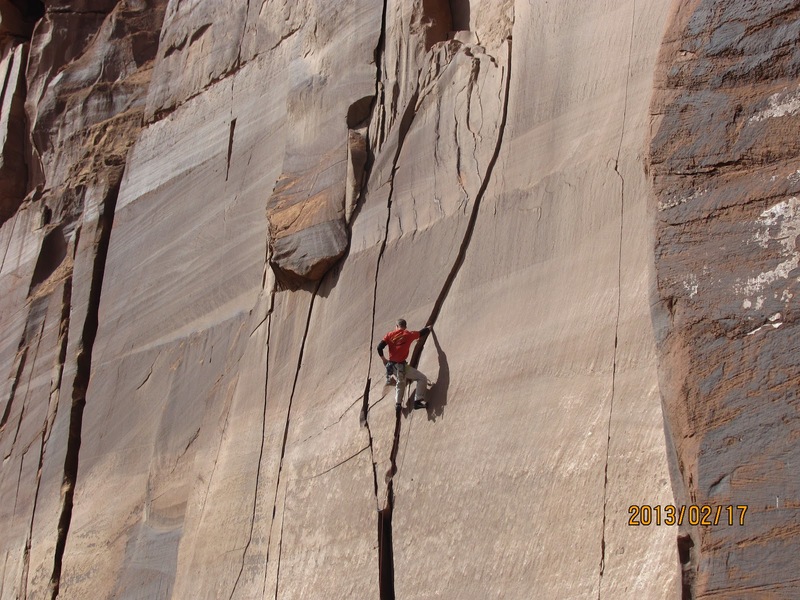 Brian H, taking on “Hanging to the Right” at Escalante. I titled this one Change because as winter fades hard into spring next week, we are all making adjustments. 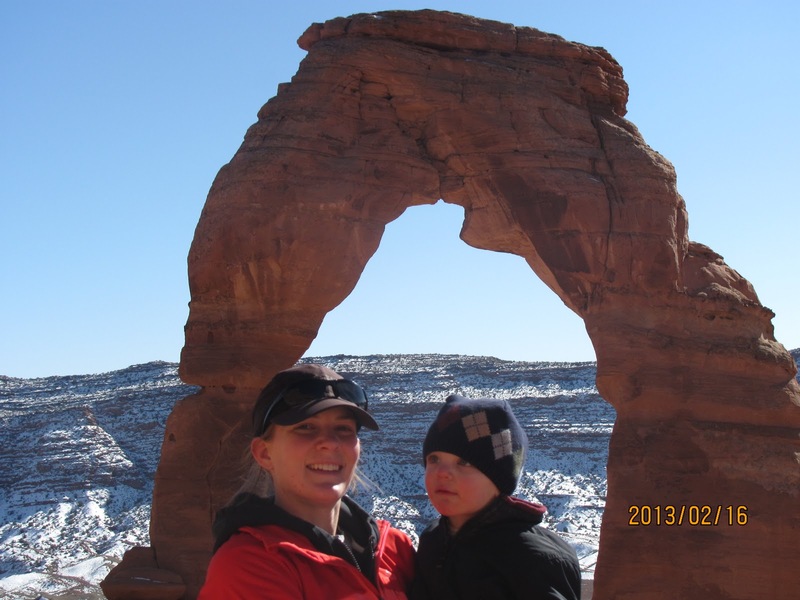 -Jane and I are bracing for the next kid some time in lateMay/earlyJune, we are both excited for the new baby, the warmer temps and my summer vacation. -We got a new fence at our house which is a SUPER change that gives us a safe place to raise the kids and to enjoy our beautiful yard. -Three good friends are getting married this summer, which will whether they think it or not, be a change from just being “together”. -My part time job training folks at the climbing gym is adapting to the new summer schedule where college students leave town and locals want to be outside more. -I have had to make major curriculum changes this year at my new school and am just about done with the overhaul of academic overload! -I have a years worth of events to teach climbing at and give slide shows which will keep me busy and traveling a little bit. The bottom line is that with each season something is changing and we are constantly adapting to those subtle differences. 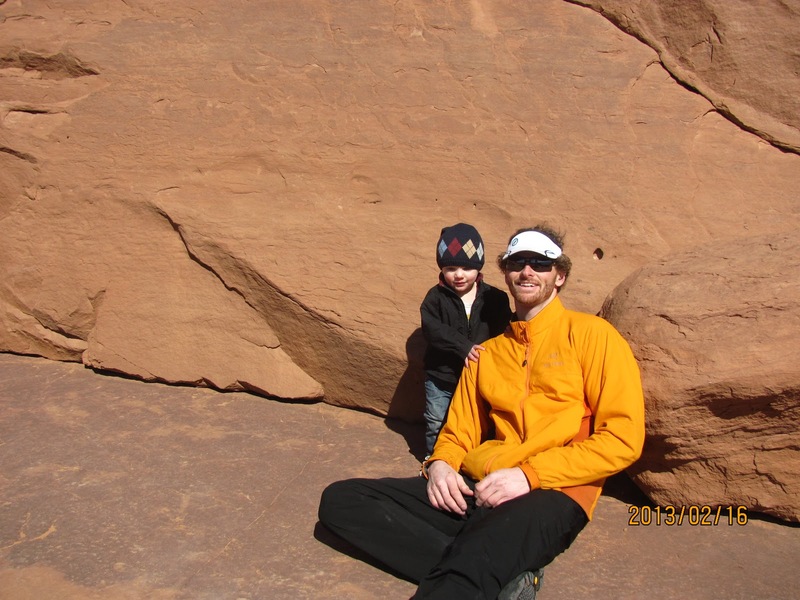 I am happy to be able to be getting out more with my family and for climbing. Change is good. But not too much! 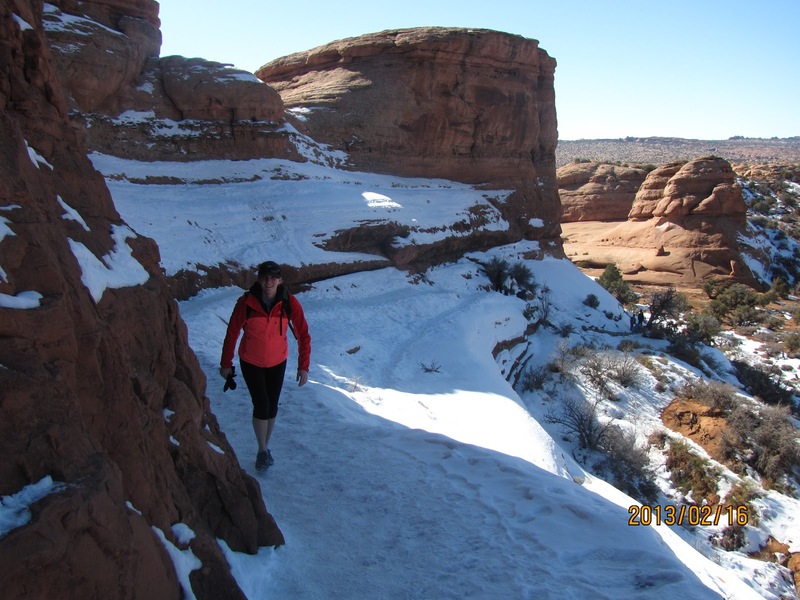 Jane hiking to Delicate Arch, Moab. It was a bit icy and plenty or tourists were taking the fall around this part of the trail. Jane and Rowan posing down! 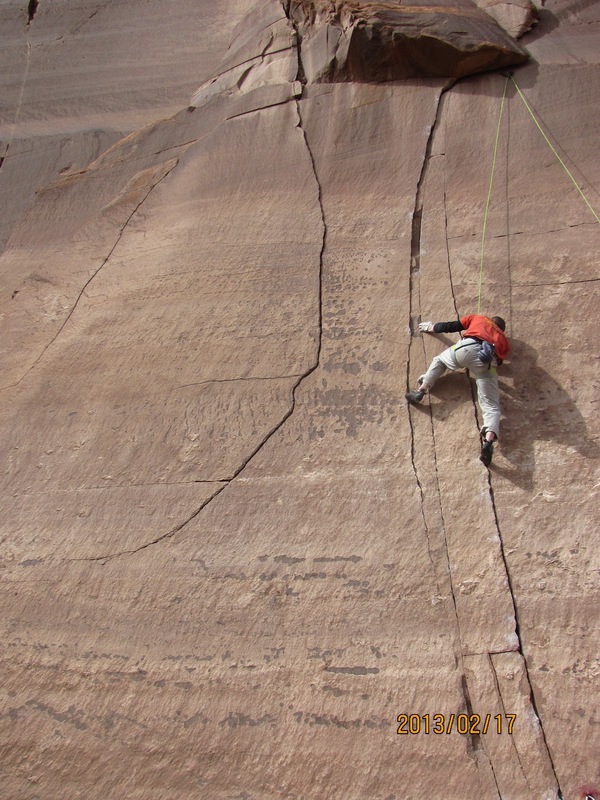 Brian trying to figure out the beta on Blood Pulse in Escalante.